To put it in layman's terms, Einstein's Theory of Relativity states that time and space are dependent upon the inertial reference frame of the observer. Consistent with this is the theory that if an observer is traveling at a constant speed through empty vacuum, they will find that the temperature of said vacuum is absolute zero. But if they were to begin to accelerate, the temperature of the empty space would become hotter. This is what William Unruh – a theorist from the University of British Columbia (UBC), Vancouver – asserted in 1976. According to his theory, an observer accelerating through space would be subject to a "thermal bath" – i.e. photons and other particles – which would intensify the more they accelerated. Unfortunately, no one has ever been able to measure this effect, since no spacecraft exists that can achieve the kind of speeds necessary. For the sake of their study – which was recently published in the journal Physical Review Letters under the title "Virtual observation of the Unruh effect" – the research team proposed a simple experiment to test for the Unruh effect. 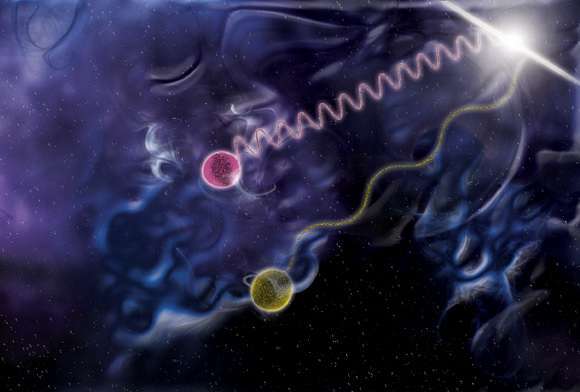 Led by Gabriel Cozzella of the Institute of Theoretical Physics (IFT) at Sao Paulo State University, they claim that this experiment would settle the issue by measuring an already-understood electromagnetic phenomenon. "A more promising strategy consists of seeking for fingerprints of the Unruh effect in the radiation emitted by accelerated charges. Accelerated charges should back react due to radiation emission, quivering accordingly. Such a quivering would be naturally interpreted by Rindler observers as a consequence of the charge interaction with the photons of the Unruh thermal bath." As they describe in their paper, this would consist of monitoring the light emitted by electrons within two separate reference frames. In the first, known as the "accelerating frame", electrons are fired laterally across a magnetic field, which would cause the electrons to move in a circular pattern. 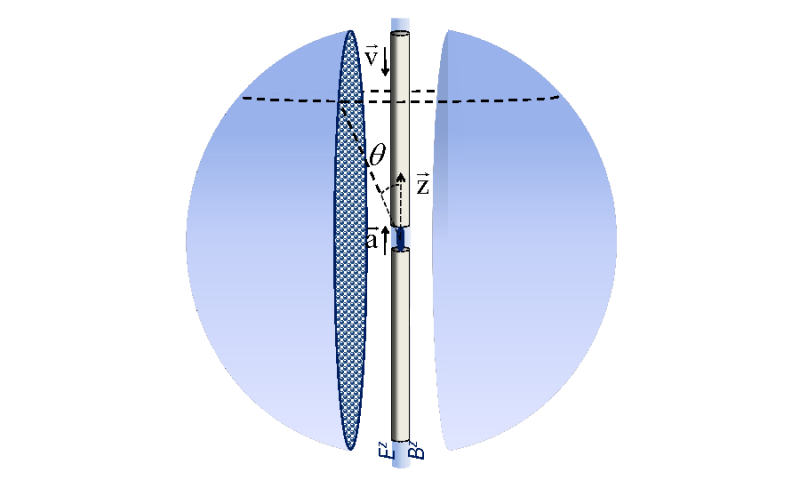 In the second, the "laboratory frame", a vertical field is applied to accelerate the electrons upwards, causing them to follow a corkscrew-like path. In the accelerating frame, Cozzella and his colleagues assume that the electrons would encounter the "fog of photons", where they both radiate and emit them. In the laboratory frame, the electrons would heat up once vertical acceleration was applied, causing them to show an excess of long-wavelength photons. However, this would be dependent on the "fog" existing in the accelerated frame to begin with. "We have proposed a simple experiment where the presence of the Unruh thermal bath is codified in the Larmor radiation emitted from an accelerated charge," they state. "Then, we carried out a straightforward classical-electrodynamics calculation (checked by a quantum-field-theory one) to confirm it by ourselves. Unless one challenges classical electrodynamics, our results must be virtually considered as an observation of the Unruh effect." 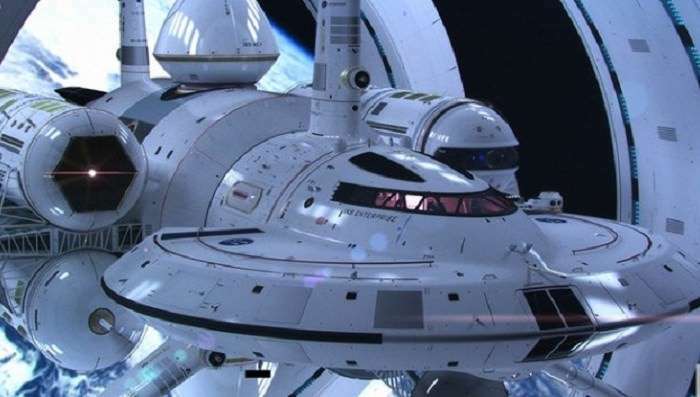 If the experiments should prove successful, and the Unruh effect is proven to exist, it would certainly have consequences for any future deep-space missions that rely on advanced propulsion systems. Between Project Starshot, and any proposed mission that would involve sending a crew to another star system, the added effects of a "fog of photons" and a "thermal bath" will need to be factored in. If I was thinking like a philo I would begin to wonder just what the effect on the universe would be of accelerating a being with consciousness to relativistic speeds? Would this being leave a path of collapsed spacetime in its wake? Would this only happen if it looked out a porthole? Slit-shaped perhaps? Would this make it go even faster? Could relativistic consciousness be a viable method of interstellar travel or simply an unfortunate method of destroying all that is? The faster you go, the more droplets you will collide with. Please speak for yourself, only to yourself please on religion. No the slower you go the more time for droplets to hit you. I think you need to resolve it mathematically. If the density of raindrops (particles) is the same across the same distance, you'll get hit with the same amount of raindrops regardless of speed. That said, the raindrop impacts will be a lot more energetic at higher speed. The "observer" in the quantum mechanical model of reality is not necessarily a conscious observer. It is anything that interacts enough with the quantum system, which causes a transfer of information, which is a measurement. A cold gluon can be the "observer", without consciousness. Actually, the faster you go, the greater the distance covered, which means more raindrops to collide with. if drops are uniform in the medium. The way this actually works is that the farther you go across the ground, the more drops you'll hit horizontally (your face and front). But it doesn't matter how fast you go, you'll hit the same drops that are in your way. However, the longer you take the more drops will hit you on the top of your head.